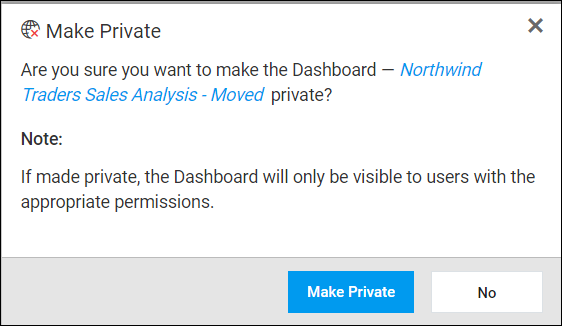 Private Dashboards are accessible to the registered users in the Dashboard Cloud who has appropriate permissions. 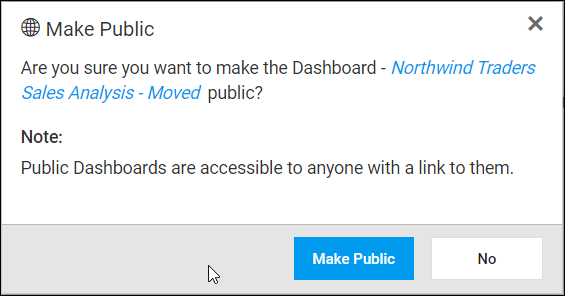 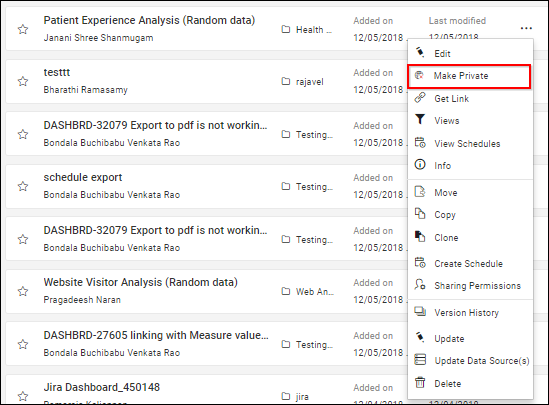 Follow the steps below to make the Dashboards accessible only to the users in the Dashboard Cloud who has appropriate permissions. 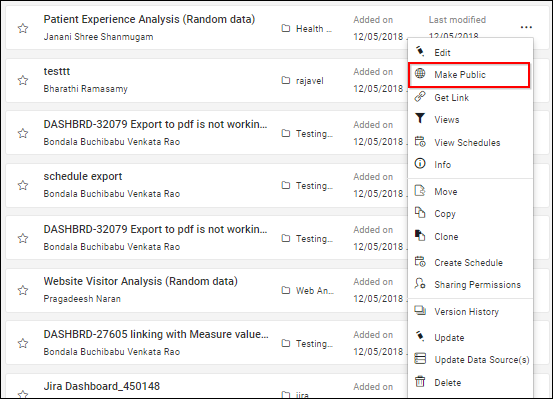 Public dashboards are listed under the public section as shown in the below image.